The Maxim is ideal for any plant grower who is limited for space. As an upgrade from the 4ft Compact, its extra 7 inches of eaves height allows room for taller plants to grow. It has unlimited length – perfect for long and narrow outdoor spaces. 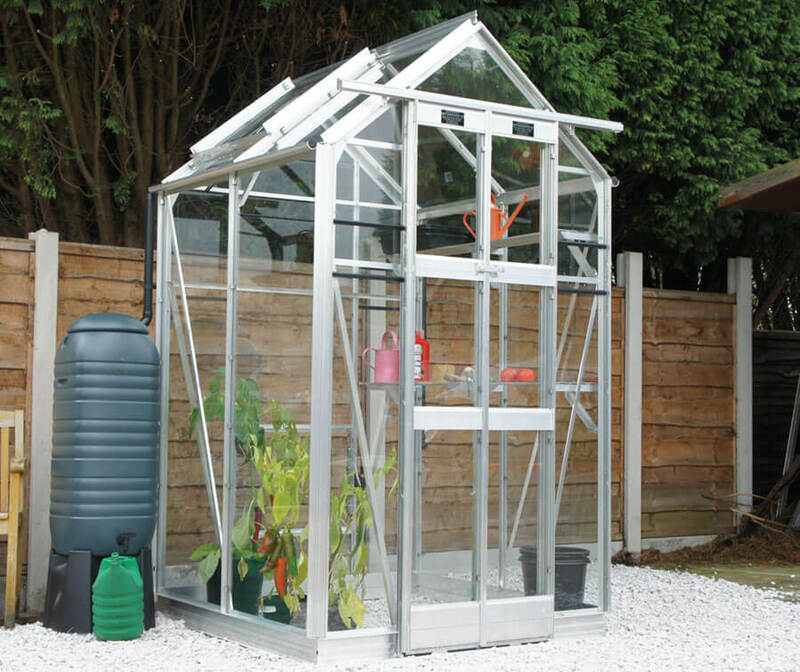 The Maxim is built with a low threshold and an extra cantilever, giving extra strength to the metal frame – especially useful if the greenhouse is in an exposed position. It comes in various packages, making it one of the best greenhouses for its performance and size on the market. If you are considering purchasing one of our Elite greenhouses, contact GSG by calling our sales team or by e-mailing us with any enquiries. Lengths from 4ft 5ins and upwards in 2ins modules. For prices, please contact our expert team.